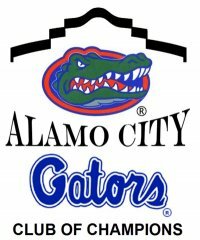 The Alamo City Gator Club is proud to announce our Educational Scholarship Program to recognize deserving students from the San Antonio and surrounding areas who plan to attend or currently attend the University of Florida. Our goal is to identify the most deserving students from the region who illustrate academic success, leadership, and involvement in our community. The Alamo City Gator Club is excited to be a part of building the GATOR NATION by assisting deserving San Antonio students in their educational endeavors. Good Luck and Go Gators!